Amazon.com and Target Corp. have opened the floodgates on free shipping. Recent moves by the retailers to eliminate minimum-purchase amounts for free shipping have boosted the share of online orders that get delivered gratis, according to data from retail analytics company DynamicAction. Orders with the free service included have risen 13% through Nov. 16, including an 18% spike in the week that began Nov. 5, when Amazon unveiled its offer. “Free shipping is the new normal,” DynamicAction Chief Marketing Officer Sarah Engel said. While free shipping can entice customers to buy, it can wreak havoc with retailers’ profit margins, which typically are already thins during the holiday quarter because of rampant discounts and increased marketing costs. Web orders that included some sort of promotion since the end of October have risen 13% from the same period last year, DynamicAction found. It also doesn’t help that transportation costs were soaring this year due to a shortage of truckers. Target is offering two-day free shipping from Nov. 1 through Dec. 22 on hundreds of thousands of items with no minimum purchase, and Amazon said Nov. 5 that shoppers without Prime memberships need not buy at least $25 to earn free regular shipping, which typically takes five to eight business days. Walmart Inc. has thus far declined to match the offers, sticking with its $35 minimum purchase requirement. The world’s largest retailer has suffered from narrowing gross profit margins in recent quarters, even as its online sales have grown. E-commerce sales will jump 17% this holiday season, according to data tracker EMarketer, and account for about 12 cents of every holiday dollar spent. 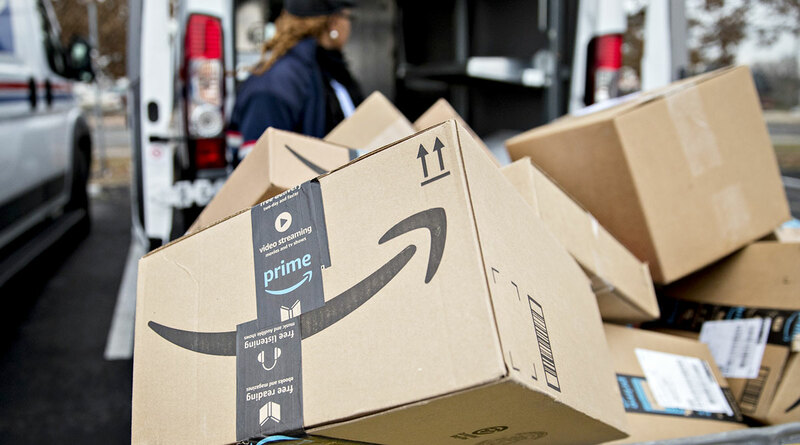 Amazon garners just under half of all online sales in the United States, EMarketer said. Walmart is No. 3 on the Transport Topics Top 100 list of the largest private carriers in North America.